Adaptation is one of the key skills any would-be screenwriter should be well acquainted with, as big budget studio filmmaking continues to trend in the direction of pre-existing IP. Knowing how to turn a book, article, news report, graphic novel or radio story into a compelling story for the screen is a critical bit of screenwriter know-how. If you’re an aspiring screenwriter, getting specific insight from reliable industry sources is great way to enhance your skillset. 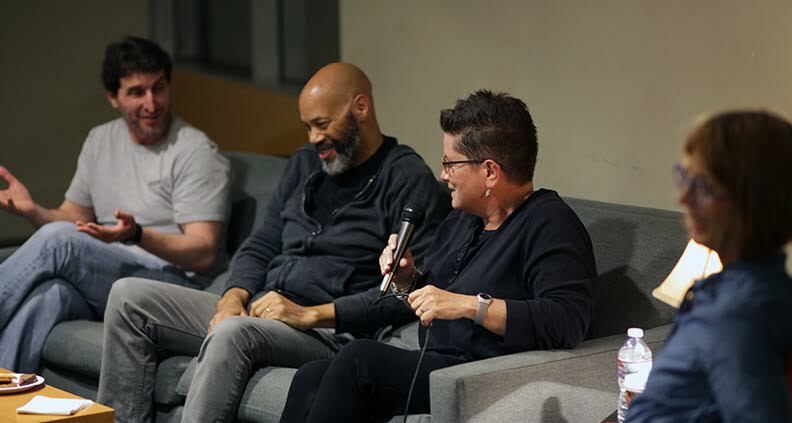 And on September 27, Film Independent’s Writers Salon brought in three acclaimed screenwriters to discuss the adaptation of preexisting material both fictive and historical. 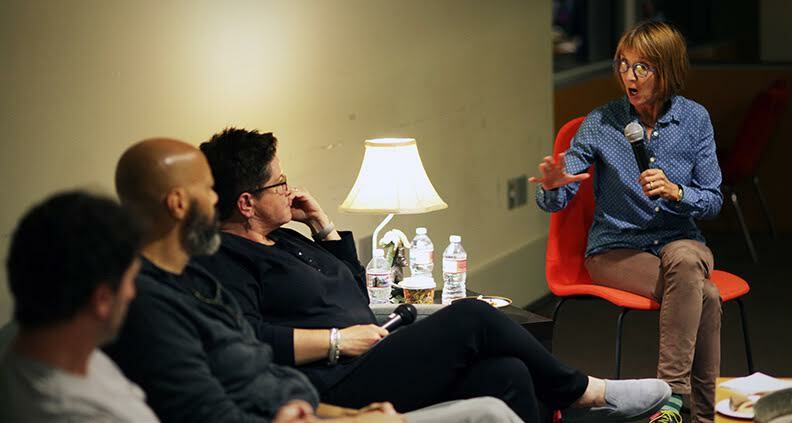 Moderated by Emmy-award winning screenwriter/director Jane Anderson (The Wife, How to Make an American Quilt, Olive Kitteridge), the conversation was well rounded, featuring a diverse set of writers with varying techniques, including Billy Ray (Captain Phillips, The Hunger Games, Shattered Glass), Phyllis Nagy (Carol, Mrs. Harris) and John Ridley (12 Years a Slave, Jimi: All Is By My Side, American Crime). The three panelists agreed that when adapting a piece of fiction, plot doesn’t necessarily matter. “It’s about the tone… And honoring the intent of the novelist,” said Film Independent Spirit Award nominated Nagy, who adapted Patricia Highsmith’s subplot-heavy novel The Price of Salt into the more focused, protagonist-centered Carol. The result was one of the most critically acclaimed films of that year. Talking about his experiences adapting The Hunger Games and novelist Susan Collins’ reluctance to allow for major changes, Ray (yet another Spirit Award nominee) recounted trying to sell her on a more extensive re-write by citing the example of Jaws. Many of the 1974 novel’s subplots were removed and the protagonist (played in the film by Roy Scheider) was given the background of an ex-New York cop with a crippling fear of the ocean—two inventions that created a suspenseful sense of irony not present in Peter Benchley’s original book. Another key component to adaptations is the research and mastery of the film’s subject matter. During his process of adapting the narrative memoir of Solomon Northup, 12 Years a Slave—for which he won an Oscar—Ridley described being taken aback by how little he knew about slavery in the U.S. Apart from learning about the characters, he began studying the era in general, making sure he could tell the story as authentically as possible, down to whether or not people of the era used paper currency. On the lessons learned in adapting stories, Ridley spoke to the nature of the film as a collaborative medium. Film is already a team effort, and an adaptation is no different. The story passes from the novelist’s hands to the screenwriter’s, and from there goes on the director, cast and crew to execute. This collaborative process doesn’t always go down without contention, though. Ray recounted the experience of almost being let go from Captain Phillips during the film’s development phase. While Ray had written scenes that highlighted the titular character’s family, Paul Greengrass (the film’s director) had included scenes set in the Pentagon, meant to serve as sociopolitical commentary. It was ultimately Tom Hanks, the film’s star, who settled the matter, opting for a story that focused solely on action onboard Captain Phillips’ ship during its seizure by pirates. Apart from the nitty gritty of getting the story on paper, the writers also discussed their opinions of a writer’s career in general. Having written primarily for independent films and theater, Nagy advised that it’s important to know your strengths and weaknesses and—ultimately—your brand. Her personal litmus test for choosing whether or not to take on a project? 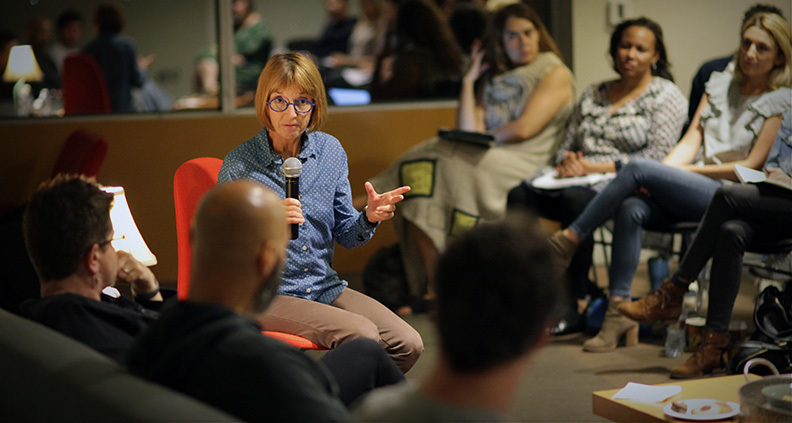 “Stories that [are] impossible,” said Nagy, noting that challenging narratives give her the biggest motivation. 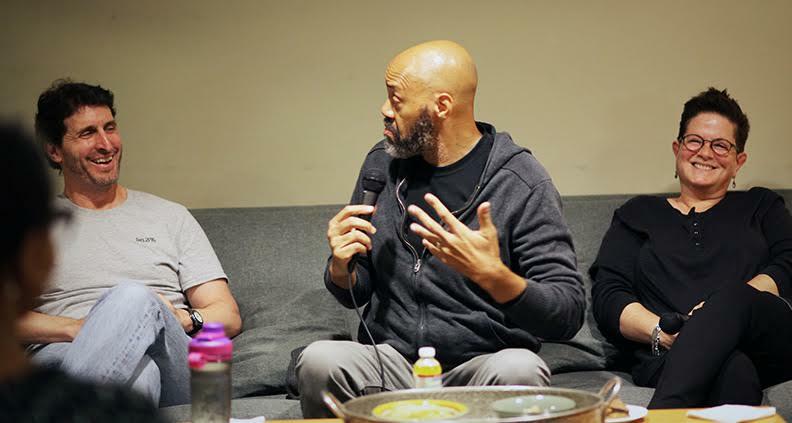 The panelists discussed their particular writing styles, like outlining versus just letting it “flow” and overcoming road bumps and criticisms in their careers. Afterwards, they took project-specific questions from attendees regarding the gray areas of legality and creative license. So if you’re a filmmaker in town, whether you’re just starting out or you’re working on your umpteenth feature, make sure you check out the next Film Independent events for valuable industry insight.